Ice mobile constructed from paint-coated steel. 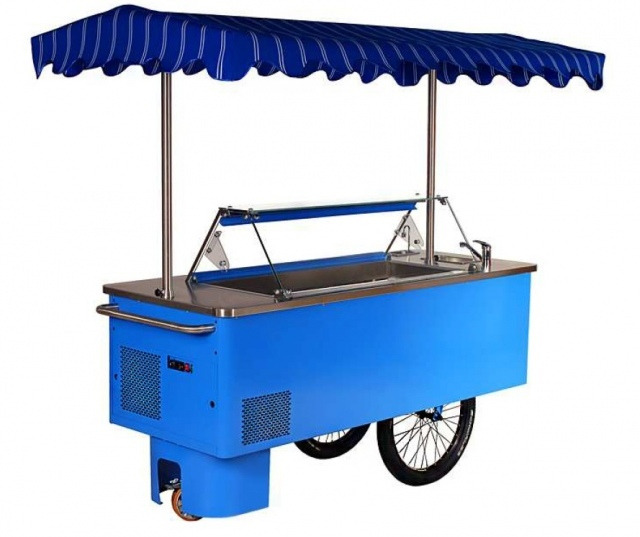 It is equipped with static cooling, automatic defrosting, integral compressor, stinaless steel worktop, white lighting, night curtain, 2 rows for ice cream containers, marchioness. Jars are optional. With 2 pcs 20 l containers (clean water/used water).